A variety of Czech glass and glass beads hang from a sterling silver spiral with a hammered detail. The array of green beads are so pretty together. 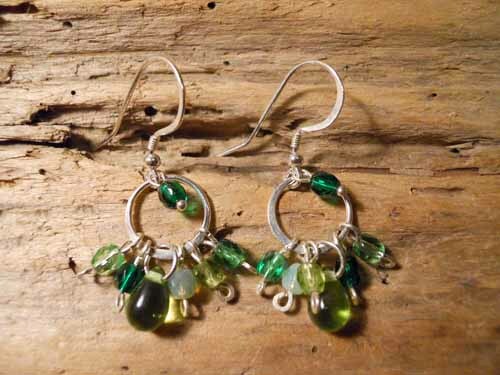 These would make the prefect St. Patrick’s Day earrings. These earrings measure approx. 1 ¾ inches.